Roll dough 1/2 inch thick on lightly floured surface. Cut into small shapes by hand or use cookie cutters. Place 1/2 inch apart on ungreased cookie sheet. 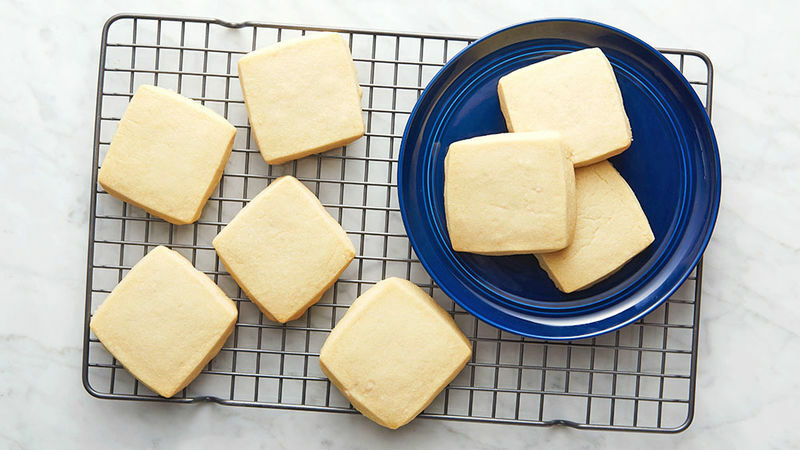 You know what the greatest thing is about shortbread cookies? They’re, like, half butter. Right off the bat, you’ve got a recipe for success. After butter, you just need three more ingredients: powdered sugar, vanilla and flour. You probably have those ingredients in your kitchen at this very moment (something that would come in handy when you’re crazy busy around the holiday season). These cookies are sweet and simple and taste perfect just as they are, but if you did want to add any other ingredients, a little orange zest would be lovely.